The Supreme Court has called the government and the State Bank of Pakistan. This meeting was held regarding the investment of dam funds. It is an important matter and SC has started taking notice of this. 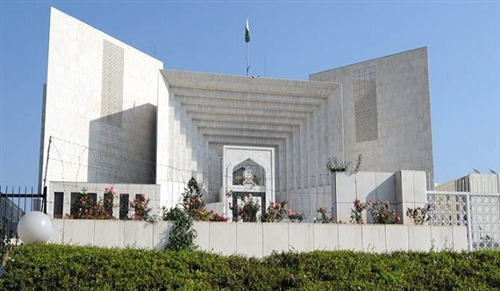 A five-judge bench in the supervision of Mian Saqib Nisar discussed the investment of dam funds in government securities. As the funds collecting campaign for the dam is going on and a very large amount from different sources have already collected. For Diamer-Basha and Mohmand Dams almost 9.1 Billion have been collected through funds. A case was also heard by this bench which was about the propaganda against dams. SBP Governer Tariq Bajwa informed that the funds for the dams could be invested in treasury bills. The fund amount could be invested in this way for almost three months. This could be injected into bonds and the government would float for generating funds for the dam. The Supreme Court has also consulted FBR Chairman and Attorney General for this matter. They are asked to take government statements and instruction about over this. The use was also suggested of PKR 36 Billion sums collected on the phone card while PKR 10 Billion from mineral water companies. During this sitting and hearing Cheif Justice also appreciated the central and important role of media in supporting this campaign and making people aware of the need for dams.